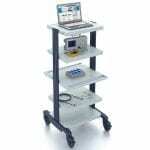 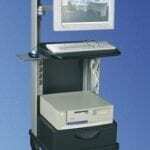 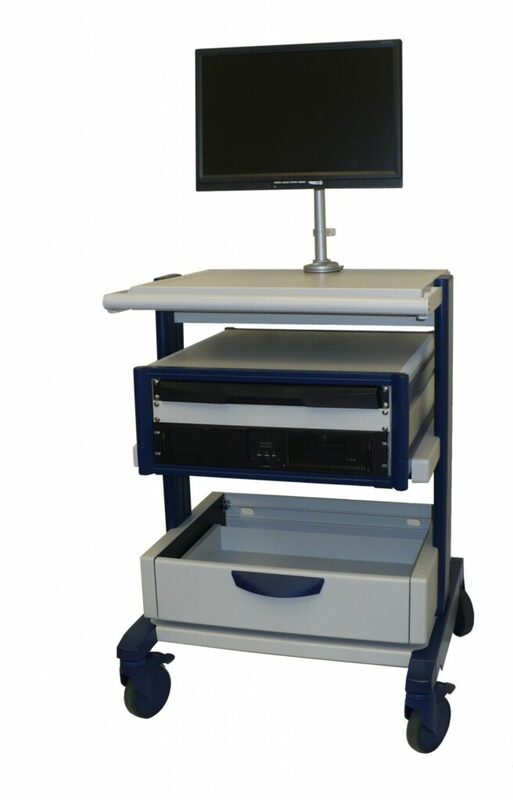 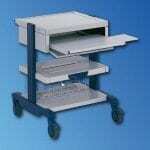 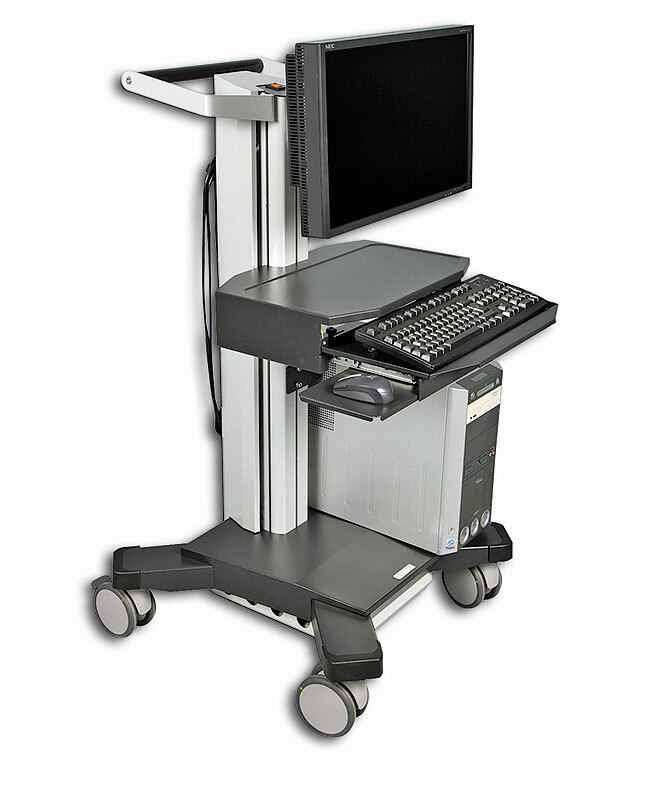 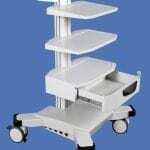 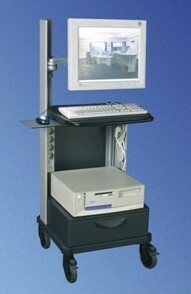 Let Extron configure a customized lab cart capable of handling a full range of equipment. 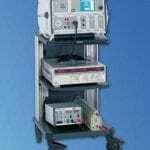 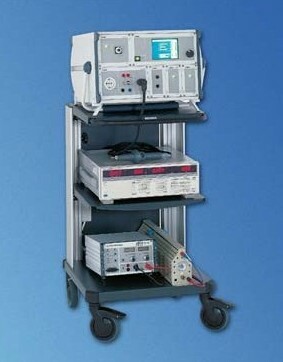 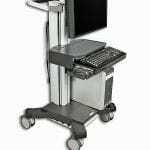 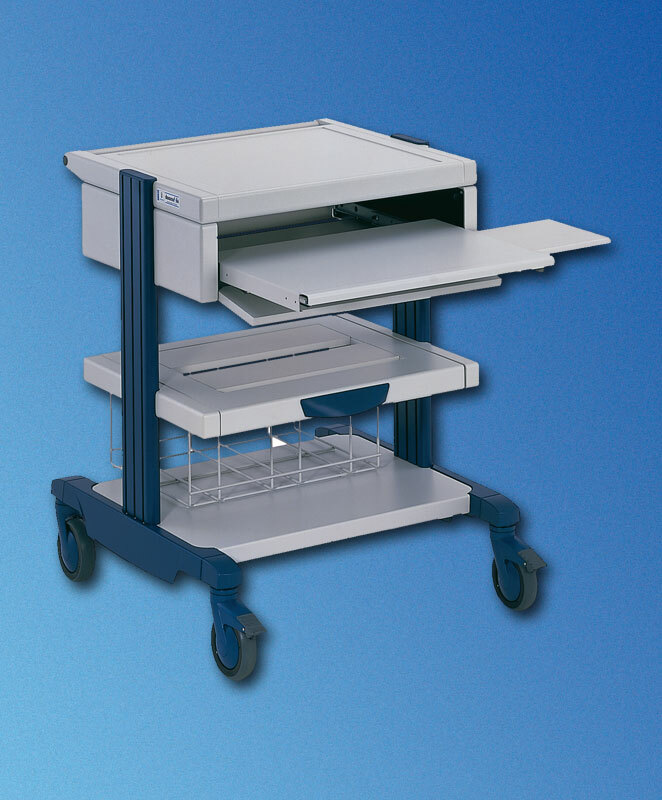 With several mobile electronics cart design platforms to start from, Extron can configure a laboratory cart to handle any kind of equipment or eletronics. 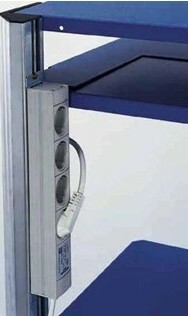 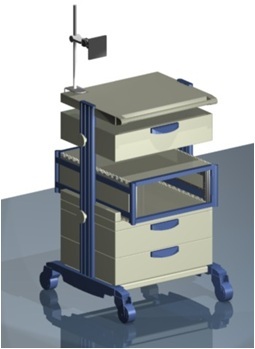 The example shown here is of a cart built on the Dacomobil platform, but Extron can design carts with nearly any configuration needed. 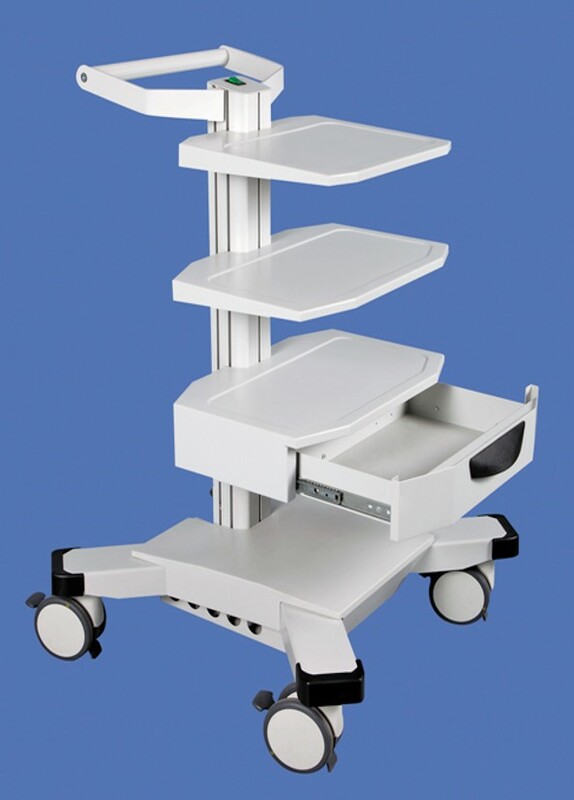 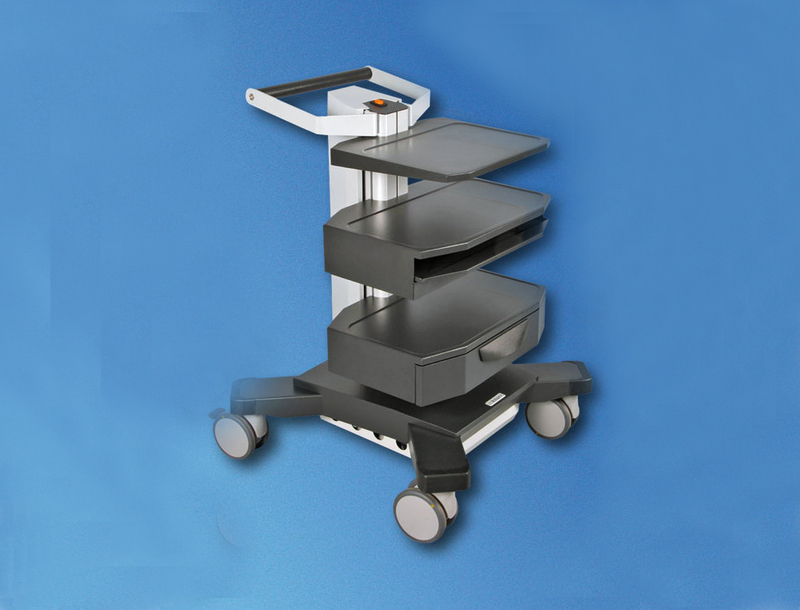 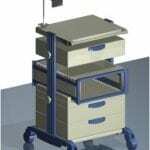 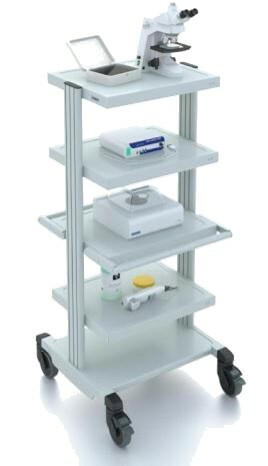 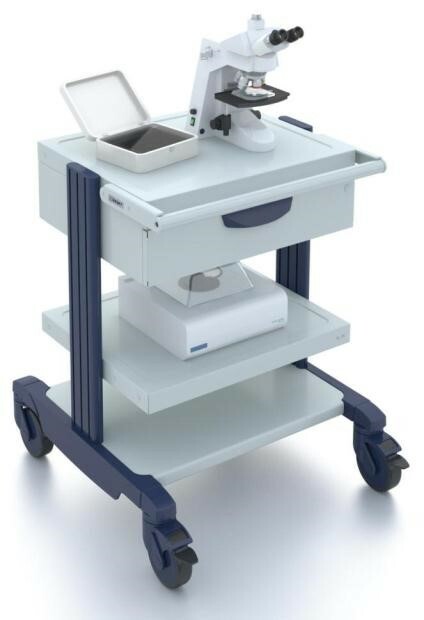 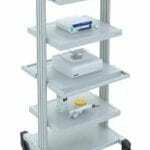 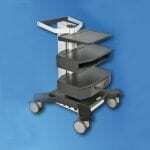 Laboratory equipment carts can be based on the Knurr Elimobil or Knurr Dacomobil or Extron EX-1 platform, and feature high stability, a wide range of sizes and load ratings, and a large catalog of available attachments and options. 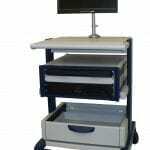 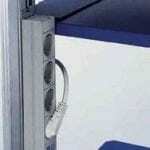 Contact Extron's team for a quote on your next electronics cart project.